Attorney General tells government's outpost committee it can't discuss Judea and Samaria communities already slated for demolition. Attorney General Yehuda Weinstein has thrown a wrench into the work of a government committee tasked with legalizing some of Judea and Samaria’s outposts, Arutz Sheva learned on Saturday. Weinstein has reportedly told the government that the committee, headed by Justice Minister Yaakov Neeman, will not be able to discuss homes that were built on private land and communities on which there is already a court ruling. Prime Minister Binyamin Netanyahu ordered the formation of the committee following a request by Culture and Sports Minister Limor Livnat. 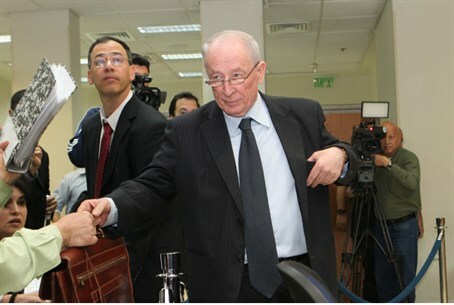 He instructed Neeman to find ways of setting up a legal team that will suggest means of giving a legal stamp of approval to Jewish outposts in Judea and Samaria. However, Weinstein’s limitations of the committee’s mandate may seal the fate of places such as Givat Assaf, Migron and the Ulpana neighborhood in Beit El, all of which have been ordered to be demolished by the Supreme Court. Yesha Council Chairman Danny Dayan called upon ministers and Knesset members several weeks ago to intervene immediately to prevent mass demolition of Jewish homes in Judea and Samaria. Dayan sent a letter to all of the ministers and MKs, noting that 150 homes – in close to 1,000 Israelis have resided for over a decade – are scheduled for destruction in the next four months or so. MK Yariv Levin recently announced that he intends to submit a bill to the Knesset which will fight the planned demolitions of Jewish homes, explaining that his bill would deal with issues of Arab landowners claiming that Jewish lands are theirs and would compensate the Arabs either with money or with alternate land.